Our elite team of internet marketers will look at your event and make sure it meets our guidelines* for inclusion in the free online calendar. You will have greater success in getting people to your event if you include a photo of your event or venue, as well as a compelling description of what is happening and why it is of interest to visitors. Now that you've submitted your event, don't neglect to check your membership listing to make sure we have your current address, hours and description. Not a member? Oh dear - but we can fix that. 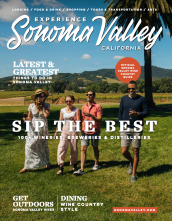 Email us at info@sonomavalley.com and ask how to become a member of SVVB. Or - fill out our online membership form and join today. Events must have a firm date. Any and all event listings are subject to review.